Inventory is tight. 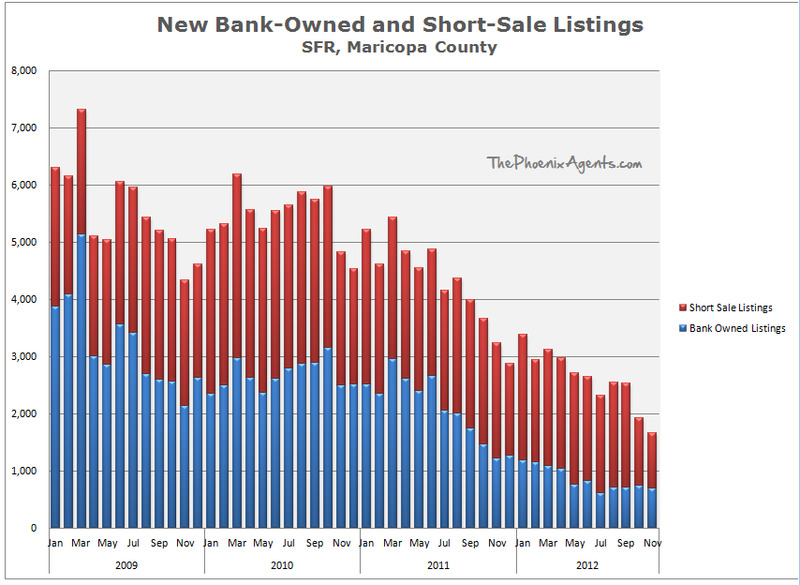 It's a great time to be a seller; not so much fun trying to buy over the last year or so. 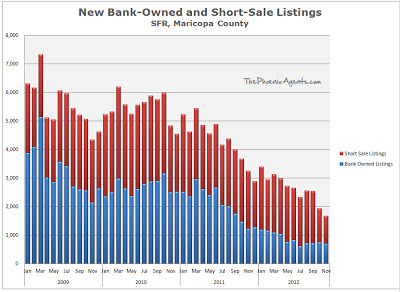 Bank-Inventory has been declining sharply, but it still makes up over a third of the new listings each month. Vacant Listings still dominate traditional listings by about a 3 to 2 margin. Vacancy. That 3rd chart is the key. 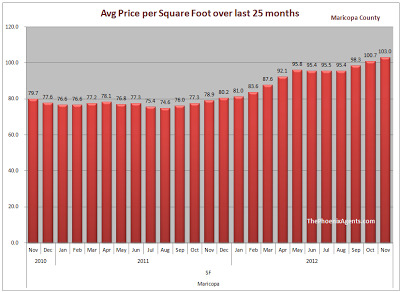 There shouldn't be more than a few hundred vacant homes in a "normal" market. 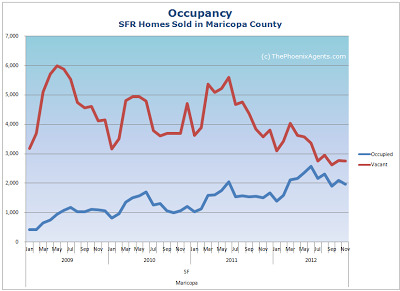 As long as the vacancy numbers are high, the market is in uncharted territory. Foreclosure Buyers. 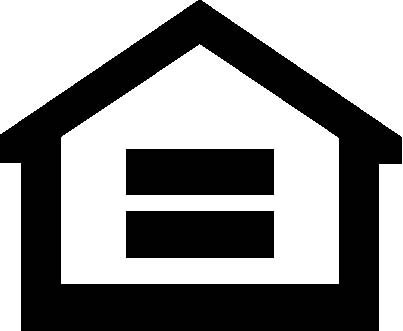 How long will it take the "foreclosed families" to get back into the home-buying market? 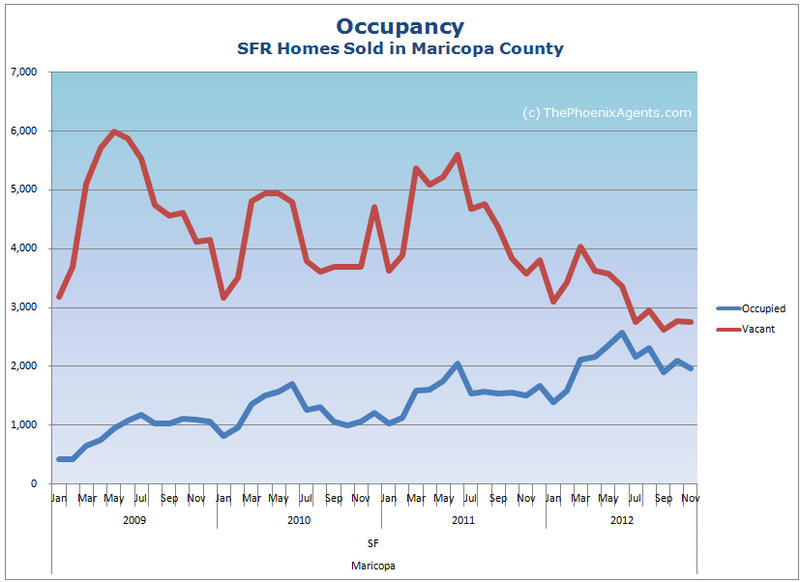 There are a couple hundred thousand families sitting on the sidelines these days, currently renting. How long will it take them to repair their credit and save up for a down payment? Will they come back en masse? Interest Rates. What happens to interest rates could have a major impact on our market. The payment on a $250,000 mortgage at 3.5% is $1,123. At 6.0% (still low by historic standards), the payment rises to $1,499. A spike in interest rates could dry up demand overnight. Prices. Prices today are at or near where they were at the start of "The Bubble", but interest rates are significantly lower. Are we seeing another bubble forming? We have a lot to keep our eyes on this year. I'll continue to share what I'm seeing, as I see it.